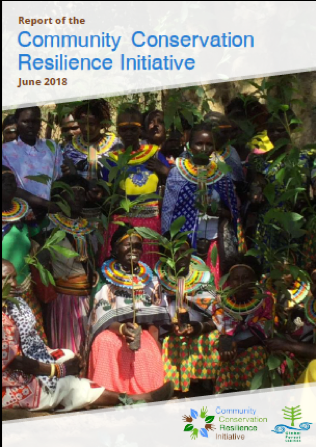 The Community Conservation Resilience Initiative (CCRI) is a joint effort of the Global Forest Coalition and a large number of Indigenous and non-Indigenous organisations and institutions. This global initiative has been documenting and reviewing the findings of bottom up, participatory assessments by 68 communities in 22 different countries, assessing the resilience of community conservation initiatives and the support that should be provided to strengthen these initiatives. This report outlines the observations and recommendations from communities in 12 of those countries, in Colombia, the Democratic Republic of Congo, Georgia, Ghana, India, Kenya, Kyrgyzstan, Malaysia, Nepal, Sri Lanka, Tajikistan and Tanzania, and includes summaries of each. It complements the global CCRI report published in 2015, which reported on communities’ assessments in Chile, Ethiopia, Iran, Panama, Paraguay, Russia, Samoa, Solomon Islands, South Africa and Uganda. The aim of the CCRI is to provide policy advice about effective and appropriate support for community conservation as part of the implementation of the UN Convention on Biological Diversity’s (CBD) 2011-2020 Strategic Plan, and to highlight that the rights of Indigenous peoples, local communities and women over their lands and territories must be upheld and supported.